A passenger checks an arrivals board at Gatwick Airport in England, Friday, Dec. 21, 2018. 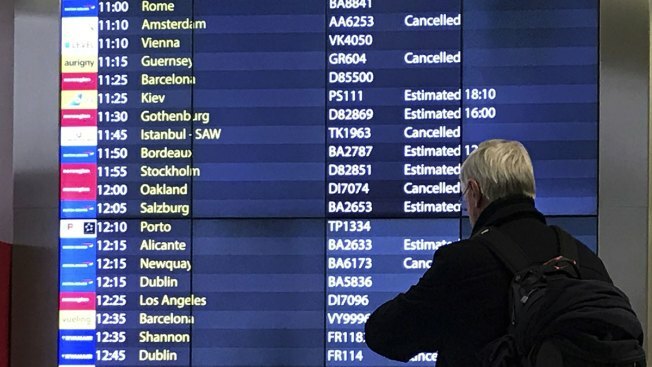 Flights resumed at London's Gatwick Airport on Friday morning after drones sparked the shutdown of the airfield for more than 24 hours, leaving tens of thousands of passengers stranded or delayed during the busy holiday season. London's Gatwick Airport was plagued by long lines and flight delays Saturday but no new drone sightings, allowing British officials to hope the worse was over after two people were arrested in connection with the drone invasion that had shut down the country's second-busiest airport.